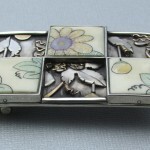 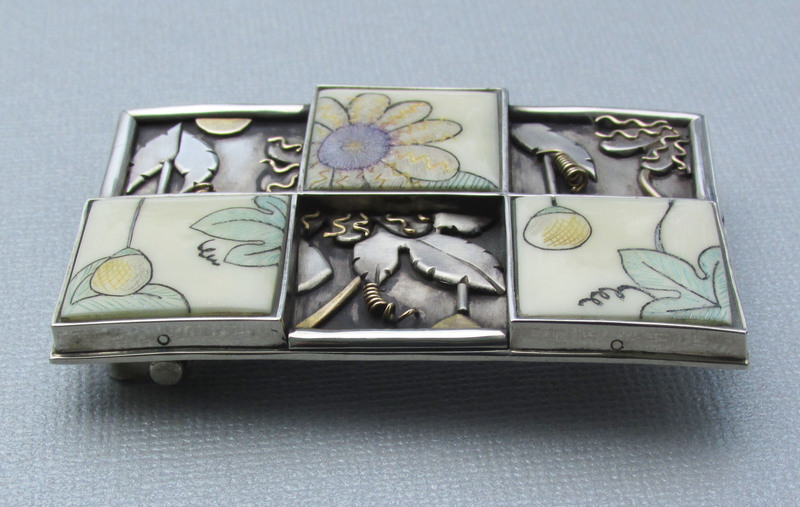 Description: This lilikoi belt buckle (aka passion fruit) is inspired by the tropical plants around Dawn’s home. 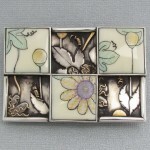 Her designs blend from the ornate silver and gold embellishments to the colored scrimshaw work she has become well known for. 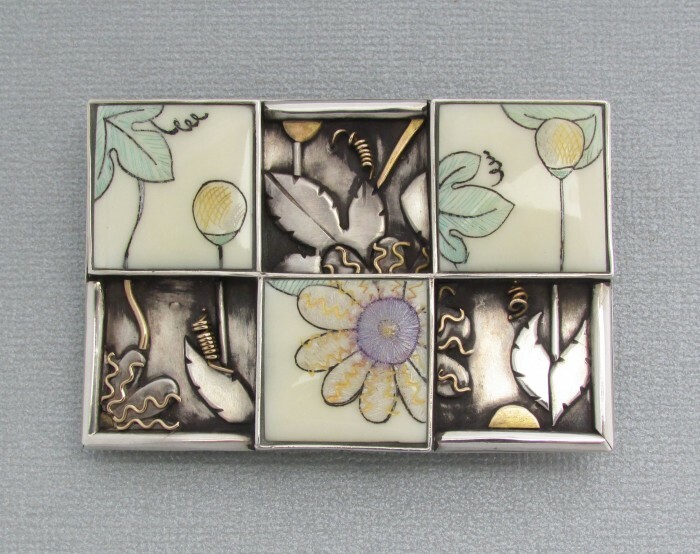 She made this in 2007. 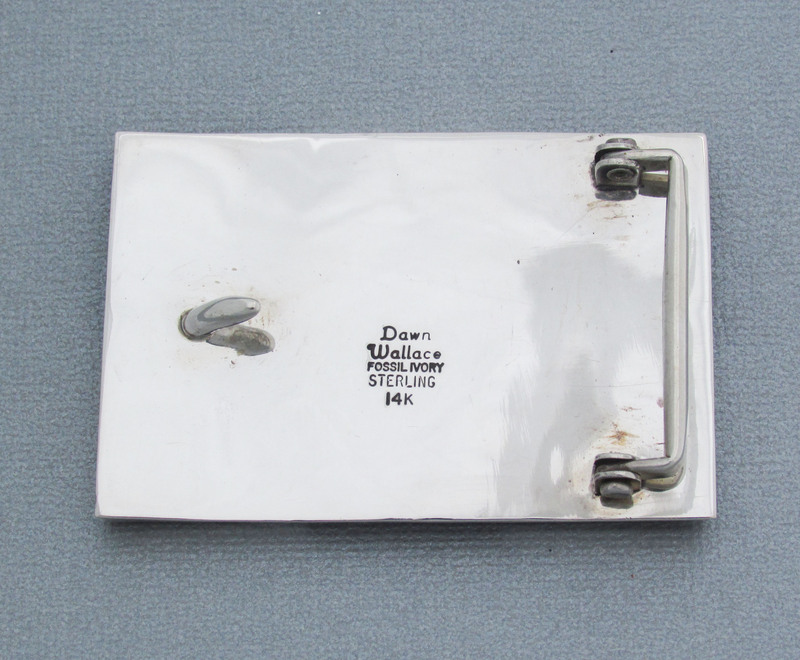 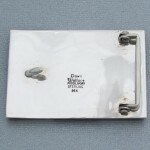 The buckle latch is for a 1″ to 1-1/4″ belt.